First impressions during my Spin Station review are very good – the design is ultra modern, slick and with a fantastic attention to detail which shows that the making of this website was a labour of love. This is all well and good but you want to know if it’s a great casino, right? There’s only one way to find out..
Apart from the fabulous design, what is immediately striking about Spin Station is the frankly stunning sign up offer. A 200% deposit bonus of up to £3000 – that’s not a typo, three thousand quid.. Taking the 50% second deposit and 75% third deposit into account makes a total of £4000 in deposit bonuses! Far and away the biggest sign up bonus available at any online casino. You are given a choice of bonuses, either 200% match up with 20 bonus spins or 200% match up with 50 bonus spins, bizarrely. Of course I chose the latter option and got 50 bonus spins on Starburst, one of my current favourite slots (real bonus!). This option isn’t advertised on the main site so try to snap it up quickly before they take it down. Refreshingly there’s also the option of having no bonus at all which neatly sidesteps all the wagering stuff you have to do with bonuses. Wager requirements at Spin Station are 35X the bonus, after this the bonus amounts are converted to real cash. You can easily check the progress of your bonus wagering in the account menu, something which more casinos should offer in our humble opinion. As you’d expect from a casino called Spin Station, slots are the main attraction. The slots providers list reads like a roll call of the trendiest names in modern online slot development: 1X2 GAMING, 2 BY 2 GAMES, AMAYA, ARISTOCRAT, ELK STUDIOS, LEANDER, MULTICOMMERCE, NETENT, NYX, QUICKSPIN, THUNDERKICK, and WHG. This all adds up to hundreds of individual slots, all of them up-to-the-minute editions keeping up with the latest trends in slot development. This is great to see as some of the older online casinos seem stuck in the noughties with ancient slot offerings from another era. There are nine progressive jackpots at the moment, Hall of Gods and Mega Fortune being the biggest progressive jackpots currently on offer. If you want to play the grandaddy of them all, Mega Moolah, you’ll have to play elsewhere for now. We were bowled over by the number of blackjack games on offer, 18 at the current count, not including the numerous live dealer options. It’s a similar story with the roulette, 12 different types including two versions of the lucrative French roulette. 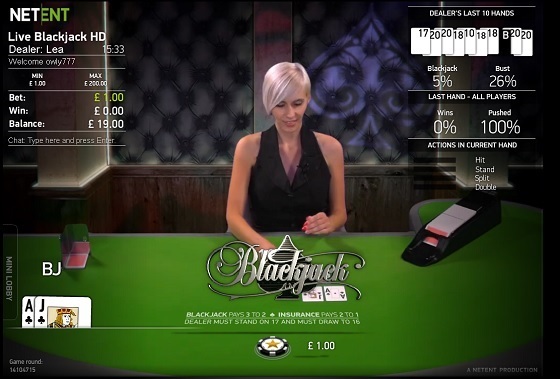 The Live Dealer (HD) casino is from Net Ent and features an array of options for blackjack and roulette, only you can decide if the lack of baccarat or other less popular live games is a plus or a minus! The betting limits here are high with a £75,000 maximum bet on roulette and £10,000 max bet on blackjack. Overall the game selection we found during our Spin Station review is really impressive, especially when you consider this casino is going for the slots angle. 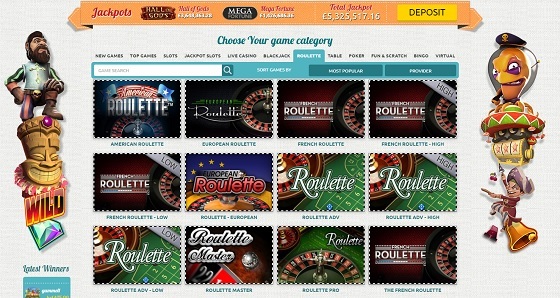 There are even bingo and poker games included as well virtual sports betting games and scratchcards. Amazing stuff really. 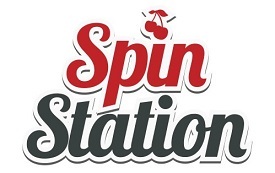 Spin Station has a particular humour to it that you may or may not welcome, for example their monthly slot promotion is referred to as the Tra la la laaaaaa Slot of the Month 🙂 If you’re not fussed about which slot you play on then this is a great feature as whenever you play the designated slot you’re automatically entered into a raffle to win fabulous electronic goodies such as ipads and what have you. The more you play, the more raffle tickets you get. There are also slot tournaments every week with £5000 in prize money for the top five players. The Spin Station loyalty program has a multiplier feature on selected games so you can maximise your game winnings by playing smartly. There’s no VIP programe and overall the promotions are not as extravagent as some other top casinos. 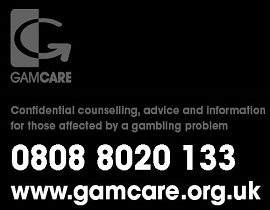 By now I’ve played over thirty games here with the £60 I had for the review (£20 plus £40 free) and not encountered any kind of hitch or slow down, everything is smooth and responsibe and when I made a live chat request someone was on hand instantly. Mobile play is just as impressive with only a dozen or so games not available in the mobile casino. This is a polished and professional operation from start to finish. 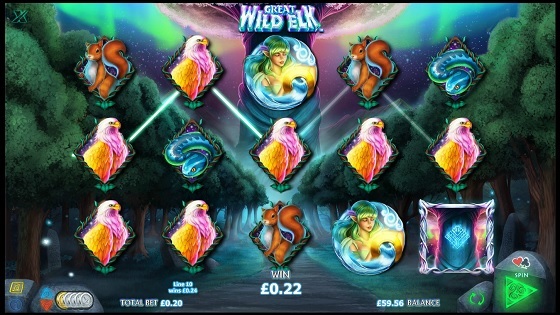 Despite some big wins on live blackjack and Great Wild Elk I finally blow all the Spin Station review money during a £50 losing streak on Reel Rush – that used to be my favourite slot! This is the casino I’ll be coming back to though without a doubt, it’s the attention to detail and seamless integration of all the different aspects of the site that make it a place you want to come back to, especially after so many poor user experiences at other casinos. With the huge sign up bonus, vast array of games and the multiplying loyalty points feature it’s clear that this is a casino for high rollers who want to play a variety of games. We see no reason why you’d want to go elsewhere when so much care has been put into making this casino so user friendly. If you want to pick one casino and stay loyal to it you can’t do much better than Spin Station.